STORY: The mystical sword of the legends, the "Soul Edge", ended up in the hands of the dread pirate Cervantes of Spain. For the next 25 years he stayed dormant on the remnants of a Spanish port town, taking the souls of those who reached him during their search of the sword. 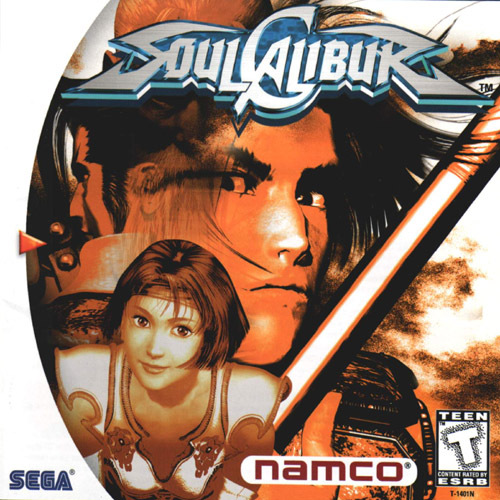 His reign of terror was soon to start, but a divine warrior (Sophitia) and an underground ninja (Taki) stopped him, breaking one of the twin Soul Edge blades in the process. As it was about to tear itself apart, a young knight (Siegfried) approached the port town. 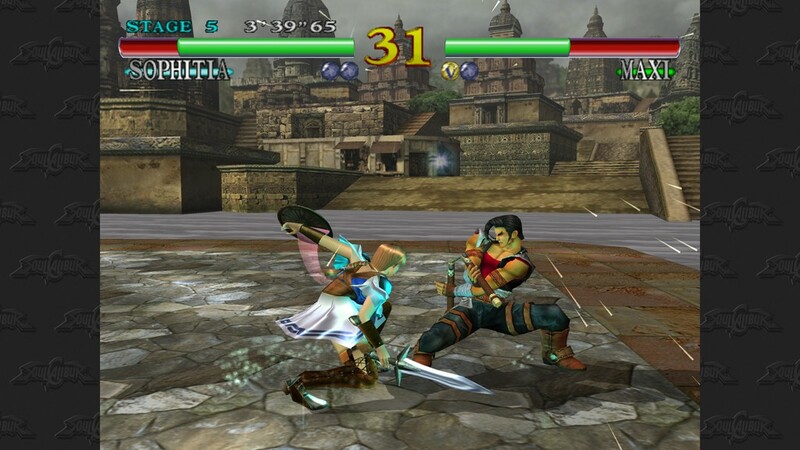 The moment he took the hilt of the cursed blade, Soul Edge released a bright column of light into the sky. This was known as the "Evil Seed", bound to bring calamity and death across its path. 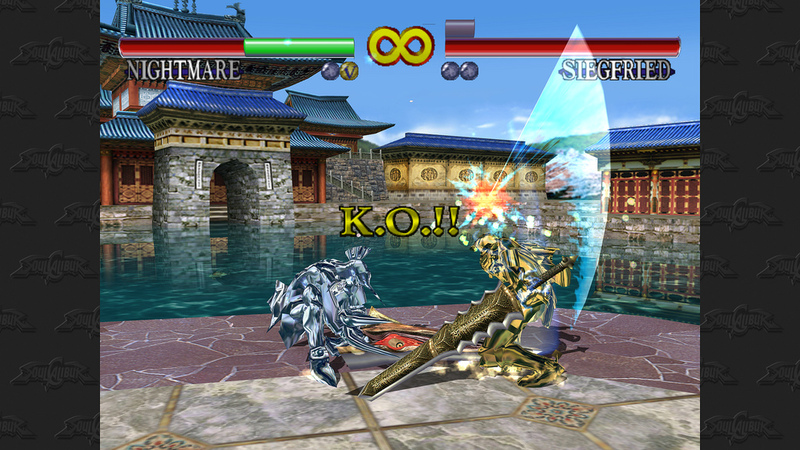 Three years after those events, Soul Edge uses Siegfried as its host, and now Siegfried is Nightmare, a knight wearing azure armor. Europe plunges into a vortex of slaughters as he and his followers claim souls to strengthen the blade in its weakened state. 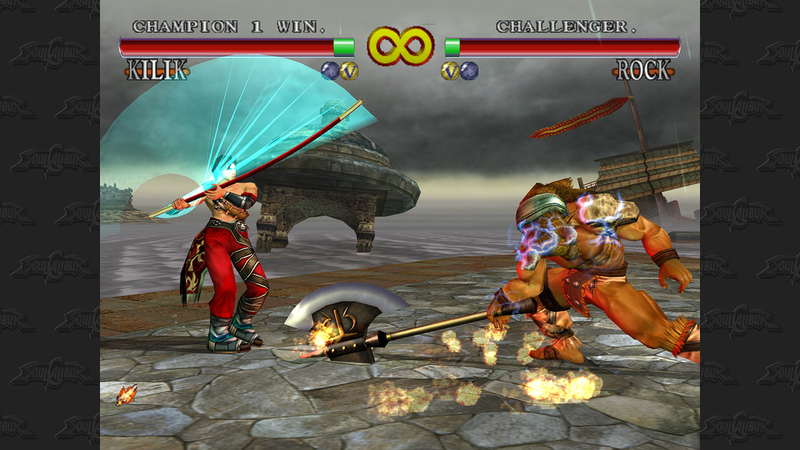 Unknown to them, a group of young warriors met on their journey to stop Soul Edge, and with them three sacred weapons join once again. 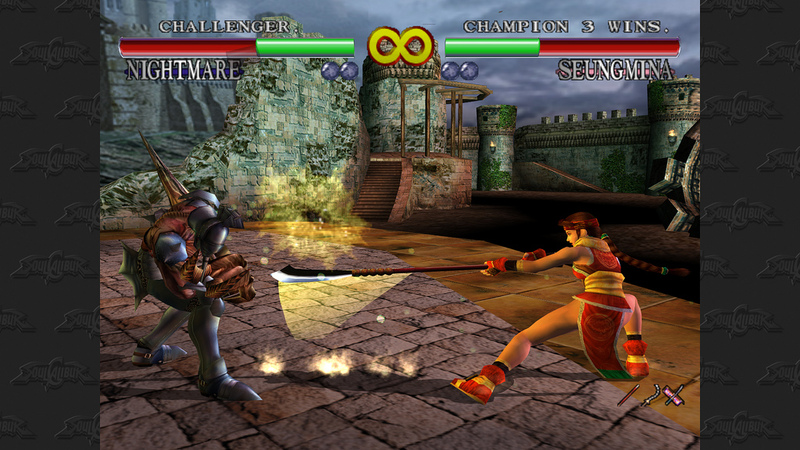 REVIEW: Formerly known as Soul Edge at arcades and (Soul Blade on PS1), Soul Calibur completely re-invented Namco's classic 3D weapon based series. 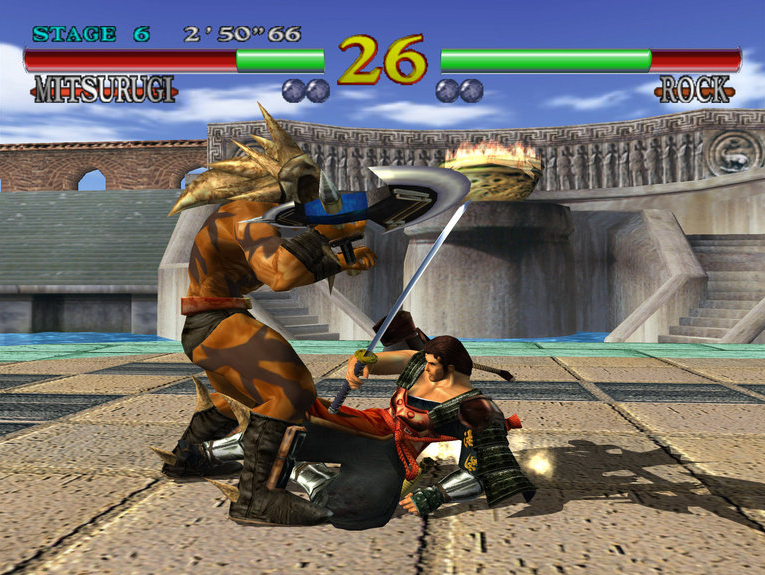 Soul Calibur introduced one of the most fluid and technically advanced gameplay system ever seen, running at a silky smooth 60 frames per second. 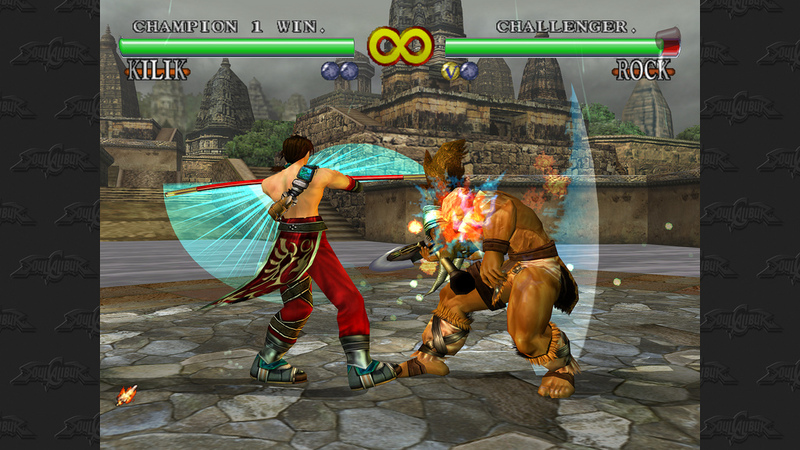 The new gameplay innovations over the prequel (besides running at 60 fps) include the 8-Way Run, allowing fighters to easily move in all directions as they fight, and Guard Impacting, one of the most innovative defensive/counter systems of any fighting game to date. 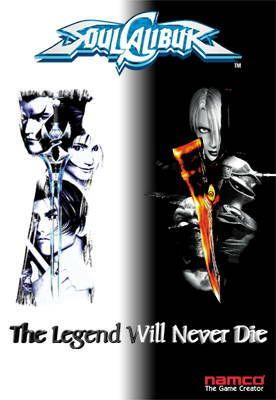 One of the best looking video games of 1999... if not the best. 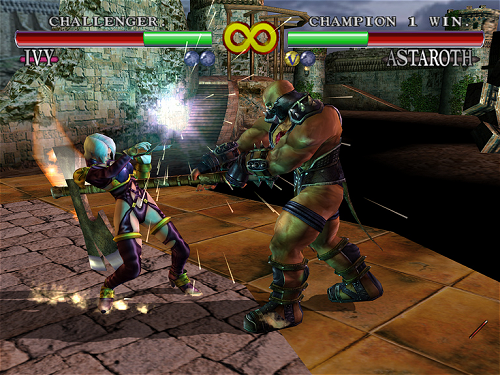 Most classic characters from the prequel make their return, each featuring tons of new moves and stances, but still stay true to their original weapon-based fighting styles. 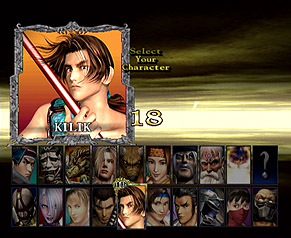 The brand new characters, like Kilik & Ivy, bring incredibly innovative weapon styles to the series and balance the roster nicely. 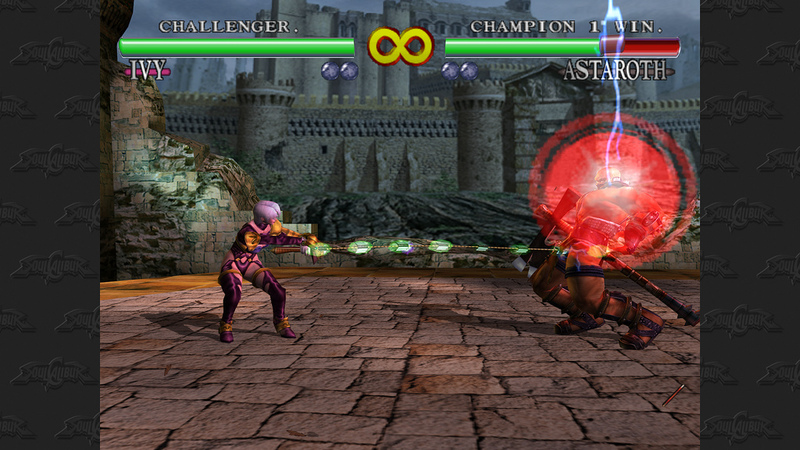 Through the use of motion capture, the characters of Soul Calibur animate with some of the most fluid martial arts movements seen in a video game to date, and look equally as good thanks to the superb texture quality and lighting effects. 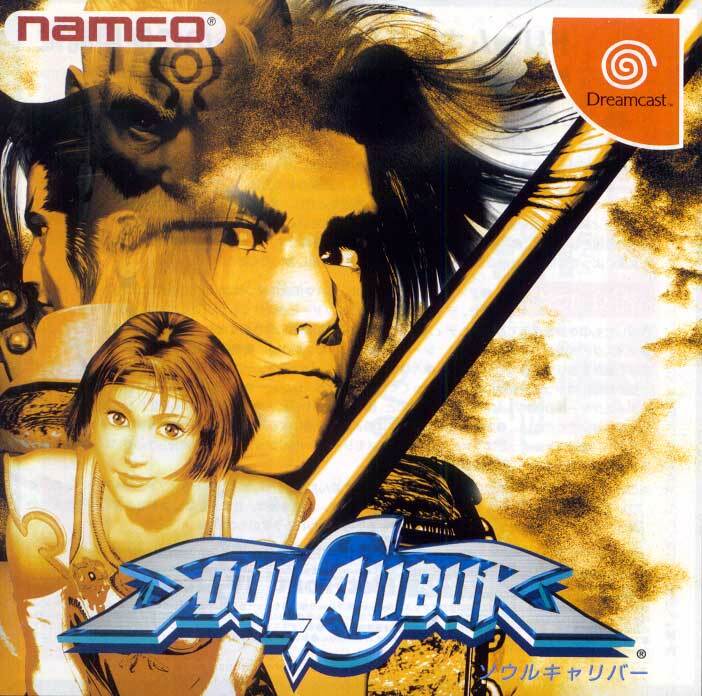 Characters also have considerably vivid personalities, as each fighter presents an impressive amount of in-game dialogue... SC characters are definitely the most talkative fighting game characters around, by far! 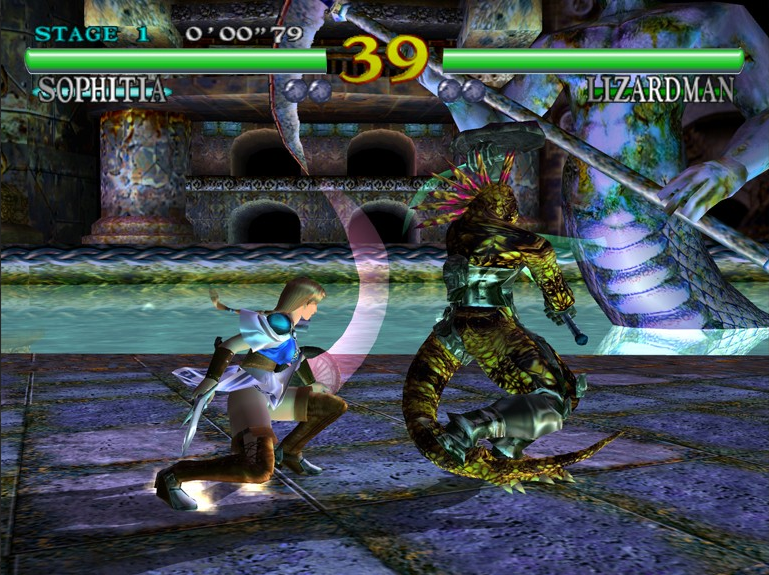 The mouths of the characters even move accordingly to what they are saying in real-time gameplay, which was very visually impressive and innovative at the time. 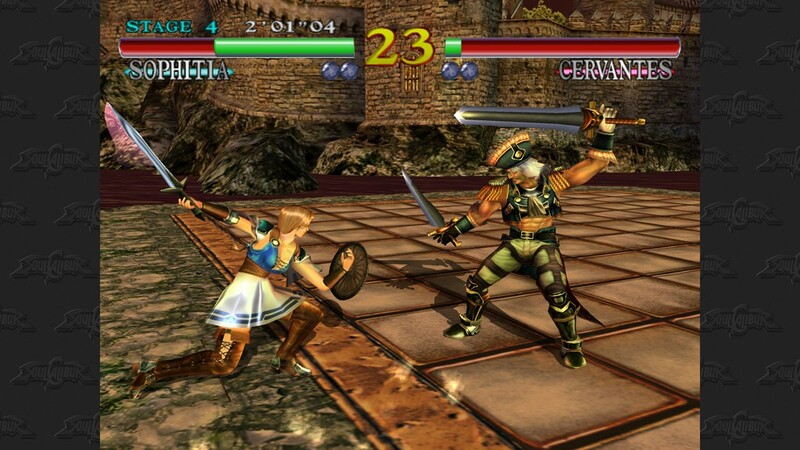 While solid on the gameplay front, the arcade version of Soul Calibur lacked graphical polish, containing semi-blocky character models & gritty textures. 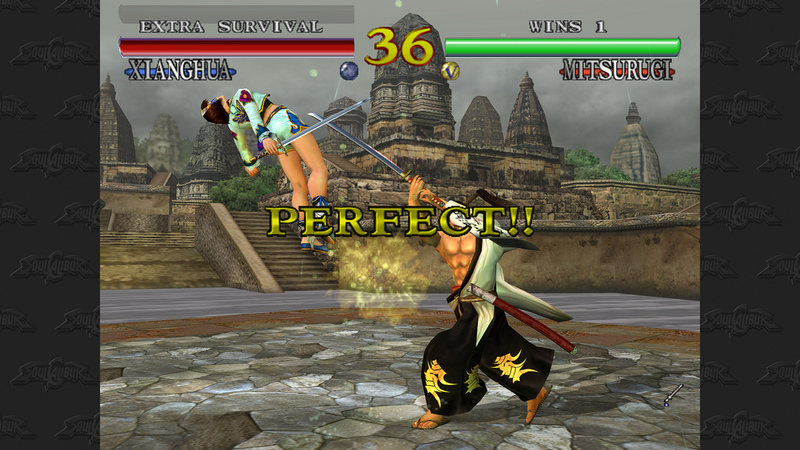 However, the console (Dreamcast) version was a massive improvement over its arcade counterpart. 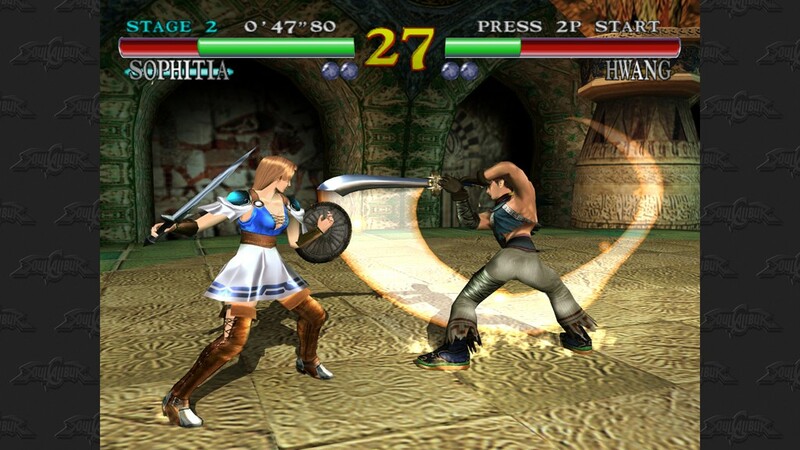 The Dreamcast version really cleaned things up, showing off ultra-crispy graphics and even freshly rendered character models... which practically made Soul Calibur look like an entirely new game. 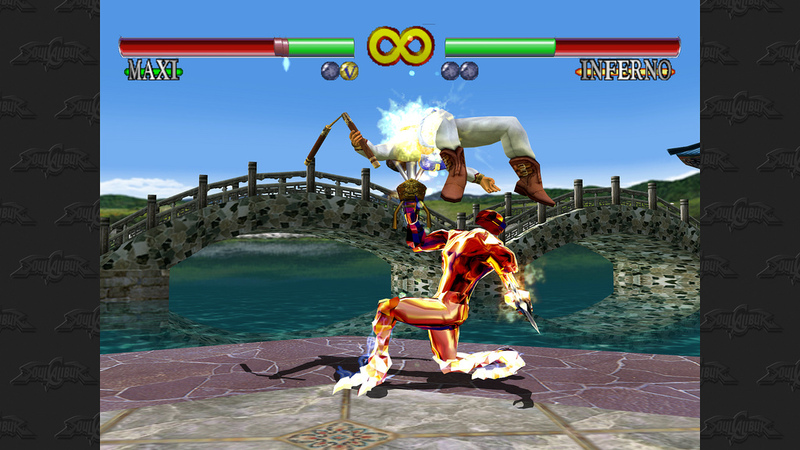 There's no doubt it was also the best looking Dreamcast title at the launch of the system. Character models are ultra-detailed from head to toe and even have a variety of facial expressions/animations. 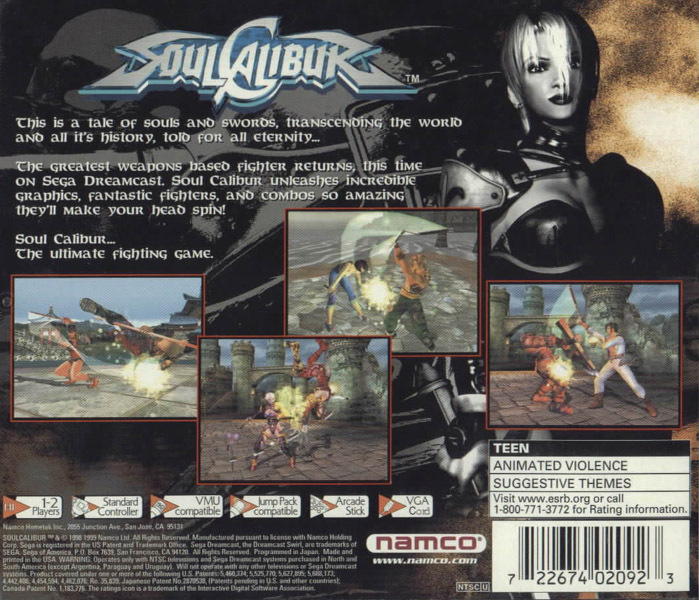 Sparkling hit effects, weapon trails, and highly detailed stages complete the awesome graphical polish of this unquestionably epic 3D fighting game. As perfect as perfect gets!! 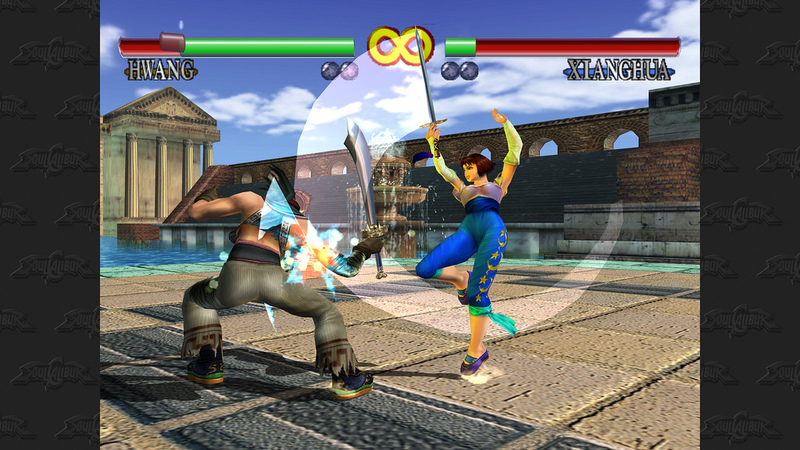 Along with tremendously enhanced graphics, the Dreamcast version also features a variety of extra modes, such as: Exhibition Mode (where you can watch awesomely fluid "katas" by all of the characters), a vast Art Gallery with tons of unlockable concept art, and a Theater Mode where you can listen to all of the character voice-overs and music in the game. 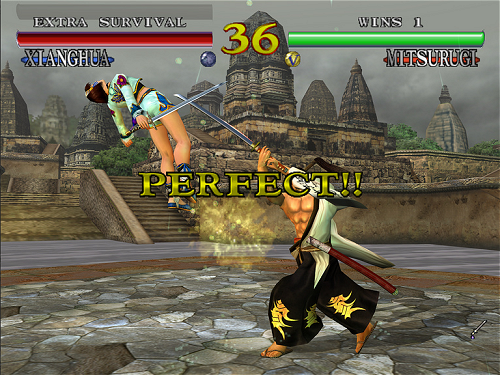 The Dreamcast version also allows you to create your own custom intro for the game! 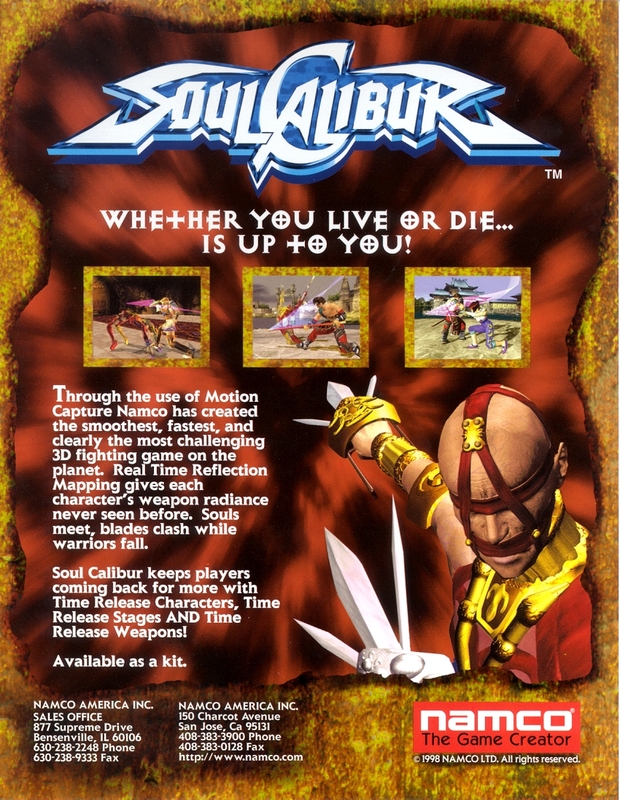 Final Words: The original Soul Calibur made a pretty big impact at arcades when it launched, even though it wasn't perfect. 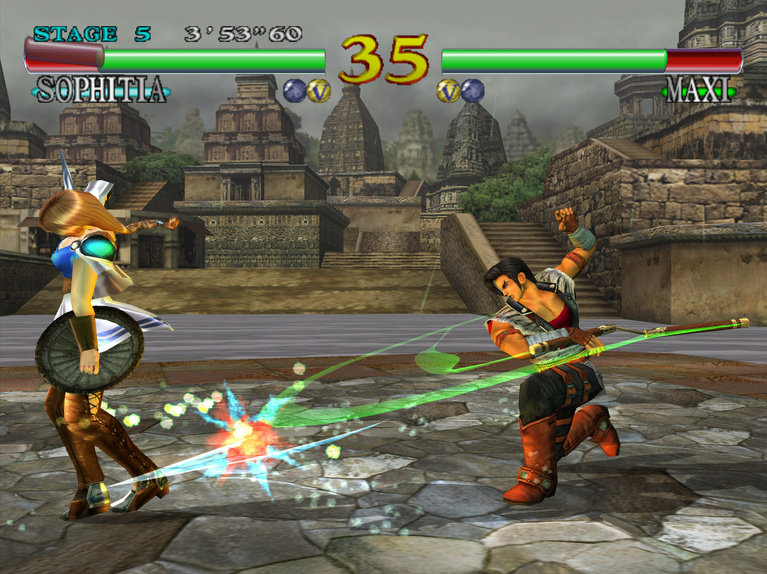 The Dreamcast version was sort of the "re-birth" of the game, and was hands down the best looking console game on the market when it launched in September 1999. 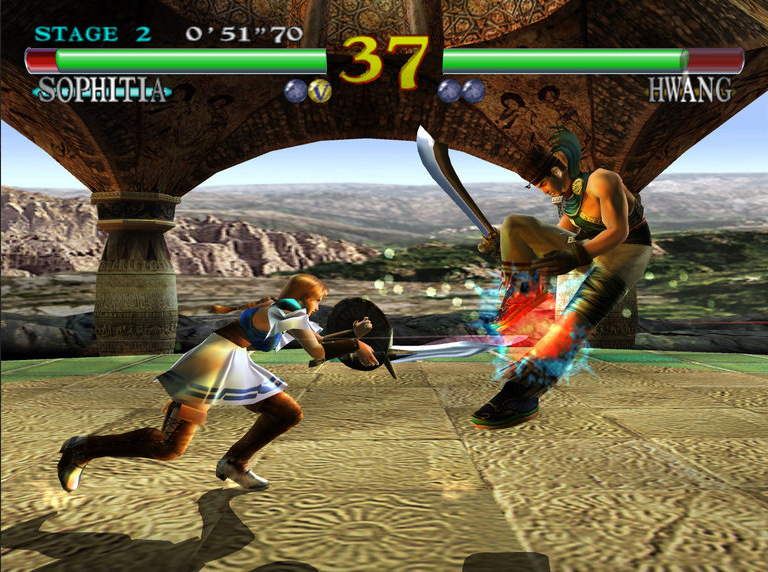 Soul Calibur on Dreamcast certainly turned many heads back in the direction of fighting games.